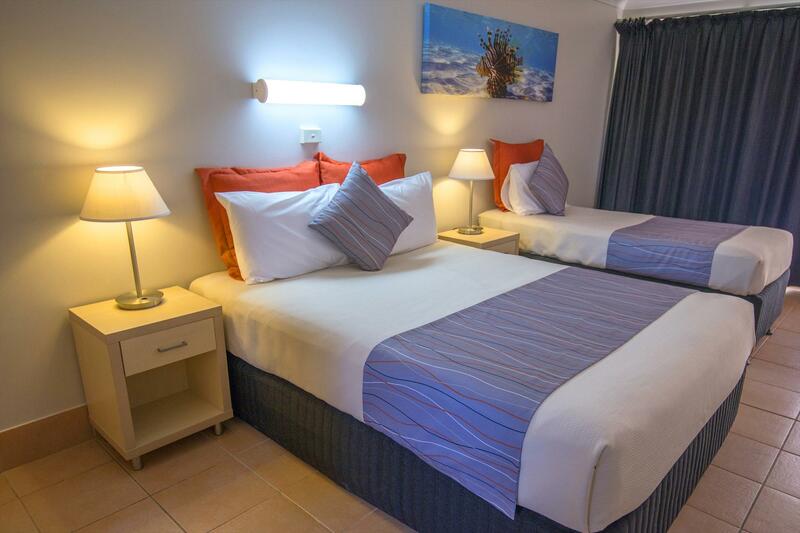 Ningaloo Reef Resort is situated in Coral Bays prime position with beautiful views of magnificent Coral Bay and the outer reef. Just a stones throw from the waters edge, the Resort has refreshing, manicured cool green lawns perfect for kicking a ball or a game of cricket. The Resort has a family atmosphere and caters for singles, couples & families. 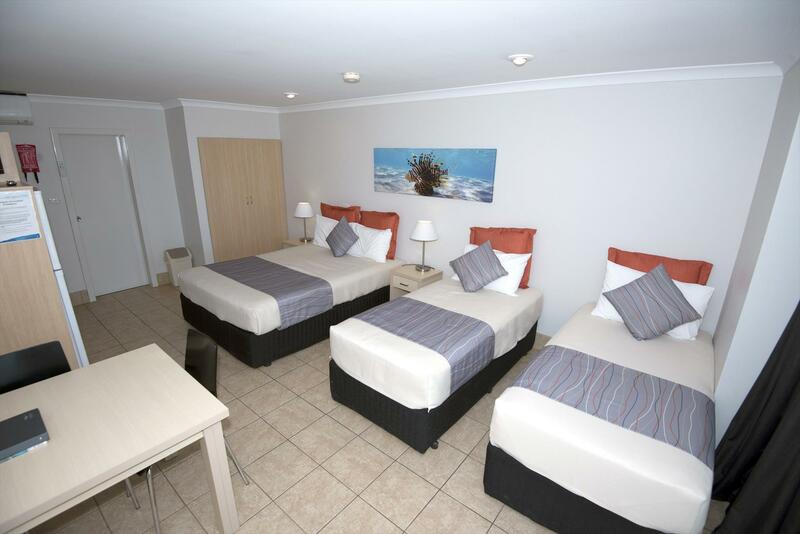 All rooms are self-contained with bathroom and kitchenette facilities. We offer a fully licensed casual dining outlet and public bar, swimming pool and guest BBQ's, all with wonderful views over the bay. Located at the beach end of Robinson Street as you drive in to Coral Bay. The Garden View Apartment overlooks the tropical gardens and sparkling pool, sleeps up to 6 people is the ideal base to explore Coral Bay. Containing one queen bed, one double with single overhead bunk bed and pull out sofa bed. Features include private veranda with outdoor furniture, TV, air conditioning, dining setting and kitchenette. In house movies are also available with all linen supplied. The Ocean View Apartment overlooks the tropical gardens with sparkling pool and ocean views, sleeps up to 6 people is the ideal base to explore Coral Bay. Containing one queen bed and one double with single overhead bunk and pull out sofa bed. Features include private veranda with outdoor furniture, TV, air conditioning, dining setting and kitchenette. In house movies are also available with all linen supplied. 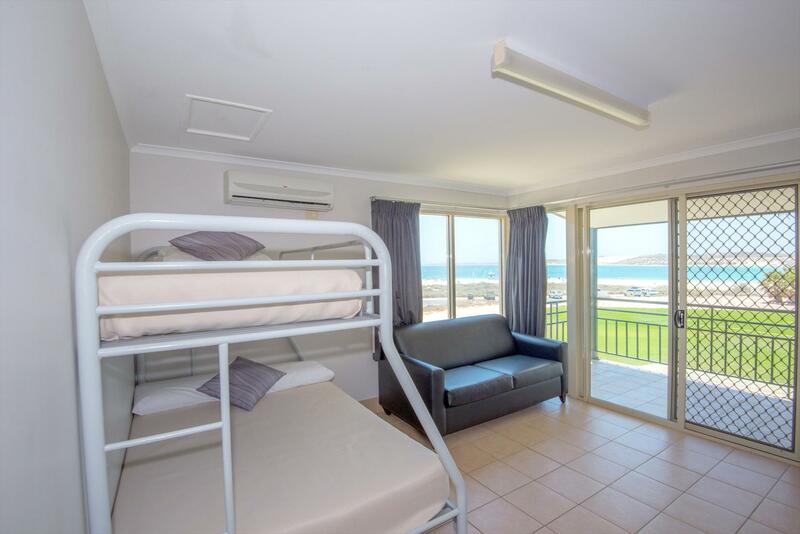 The Beachcomber Unit overlooks the sparkling pool with ocean views, sleeps up to 4 people is the ideal base to explore Coral Bay. Containing one queen bed and one single bunk or, double with single overhead bunk bed. Featuring kitchen, dining and verandah with outdoor furniture, TV, air conditioning and tea and coffee along with in house movies available. The Castaway Unit sleeps up to 3 people. 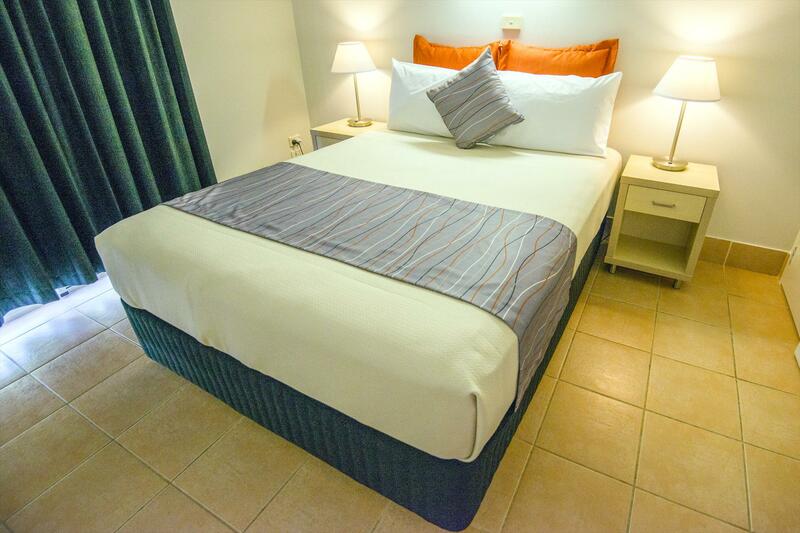 This room has 1 queen bed and 1 single, kitchenette, private veranda with outdoor furniture and linen provided. Also included is tea and coffee, TV, air-conditioning, dining setting and in house movies to make your stay comfortable. 8.If We agree to change Your booking at Your request then We will be entitled to charge an administration fee of $30 per booking for such changes.